Please click on the “About Me” link for general information about this blog and the author. I do value input, comments, and questions from you the reader. As any most blog writers, I invite that interaction as it helps me build an entertaining site. But allow me to clarify some of the policies with regard to comments on this blog, setting some ground rules to avoid misunderstandings. First, all comments to this blog are held for moderation. The only exceptions are for editors of the blog (just two of us for now). I don’t even grant an exception to my own relatives, so don’t feel slighted. On average I only publish, about half the comments posted in a given week. Of course most are spam comments. Even if not published, I will respond to inquiries and requests. This keeps the “lobby” clean, so to speak. And since this blog is indexed by several organizations (including the Library of Congress), I’ve got to keep the lobby presentable. Second, I don’t approve comments unless the content is within scope, relevant to the post, and in the spirit of friendly conversation. Yes, that is subjective. 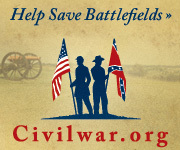 But I’ve generally been open minded so long as the comment is somewhat related to the study of the Civil War. But if a comment appears to me as an opening for out of scope follow-ups, I’ll send the contributor an email with a list of suggested venues for their enjoyment. The “out of scope” judgement is particularly aimed at “political” statements or those which seem partisan in that regard. If the comment is particularly abrasive or combative, I will not publish it. Furthermore, if the comment seems more salacious in nature, it will not be published. Some will say that is subjective, but it is my blog after all. If you wish for the comment to be less salacious-sounding, here a hint – provide facts and sources. Third, with one policy exception, I will NOT edit the comments of a contributor. I’ve got a lot of powers on this side of the keyboard. I don’t wish to abuse them or be perceived as doing so. The exception that I will make in that regard is with personal contact information. I will edit out phone numbers, email addresses, or other similar information where appropriate. I do this to protect the contributor, and at the same time ensure this blog is not miss-utilized by scammers, schemers, and spammers. Fourth, I will not edit my own comments once those are let out, but if I notice a typographical error or minor issue with the comment, I reserve the right to clean that up where clarity is at risk. Where the change is major, I will post a reply comment so all can see the evolution of the dialog. Where needed I’ll use strike throughs in the original post so new readers are not mislead. Only within an administrative post or page (like my “About Me” page) do I alter the text from the original publication. And yes this page is an administrative post. I’ve held to these policies in the past, just not stated them openly, mostly to ensure I stay on topic and scope on this blog. As you can see from the archives, I don’t discuss a lot of the “popular” issues here on this blog. That’s because this blog is not for the pedestrian crowd looking for some chat on Lincoln, the causes of the war, or black Confederates. I contribute to and actively support others who run outstanding blogs that cover those topics. I don’t wish to compete with them. I encourage readers to those sites by way of the blogroll to the right. So please understand if my comment policy seems rather constrained. I exercise that policy here in order to keep on topic and on scope. I look forward to reading your page everyday.Your work is outstanding! Hi I’m researching two 8 inch Howitzers located at our historic site in Yonkers NY. the marks on the trunions are 1842 JM CF. On the rear is marked 37 5836 12. #2 is marked 39 584o 12 The front of the Howitzers are JS 37,,,,,JS 39. I’m wondering if these guns could have been at Fort Sumter? thank you for your help. Hello! Love your blog. If I might share something with your readers. I am the education specialist for High Bridge Trail State Park near Farmville, Virginia. On January 1st, 2013 we will have a Civil War artillery piece located at the bridge for load and fire demonstrations starting at 1 p.m. until 3 p.m. I will give a talk on the artillery used in the four earthen redoubts that guarded the approaches to the bridge and discuss the ordnance used. For instance, most guns deployed there were old pieces, surplus from the regular army. Some had their barrels re-bored making them too large to fit the standard ordnance of the time period. So much of the ordnance used there was custom made to fit. Hope you can make it. Call the Park Office for directions 434-315-0457. The reason why some AMES cannons were marked Springfield and some marked Chicopee, is that Chicopee seceded from Springfield in 1848. Thus cannons manufactured before 1848 were marked Springfield and the cannons produced after were marked Chicopee. I am glad that I found this blog and only regret that I have been ignorant of it for so long. Artillery history has become a particular interest of mine since becoming an artillery officer. Once I dived into the guns and gunners of the past, I have found the subject very fascinating; I started writing about it as a hobby at http://artilleryhistory.wordpress.com/. So I’m happy to find fellow enthusiasts and the deep trove of knowledge here. I will definitely be back many times and try to keep up with your prolific posting.